Why Is This Weight Loss Hypnosis MP3/book Package So Special? 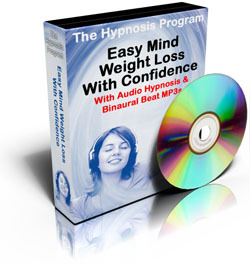 My Weight Loss Hypnosis MP3s are totally different from traditional hypnosis CDs. Normal weight loss hypnosis CDs contain a single voice monologue, offering one suggestion after another. The best hope you have is to get so bored you fall asleep and hope it sunk in. My Weight Loss Hypnosis MP3s contain multiple suggestion tracks which sweep around your mind in a very designed way. Suggestions cross-over, trail off, vary in volume as well as position and perceived distance. You will not be consciously aware of everything that is being said. The feel of hypnotic sounds swirling around your mind is incredibly relaxing in itself. I’ve worked with many weight loss clients over the years as a professional hypnotherapist – with great results. The causes of weight gain can vary – but I found there were a few patterns. What Lies at the Heart of Weight Gain? Self-worth issues, where deep down you may not feel you deserve to be healthy, happy and attractive. Comfort dependency, where self-destructive over-eating has been associated with happiness or comfort. Protective needs, where you subconsciously believe that being attractive may attract feelings of hurt, shame or guilt. Like I said – it may seem silly, but there is nothing rational about the subconscious! It simply gets programmed from an early age with all sorts of false-beliefs and associations. 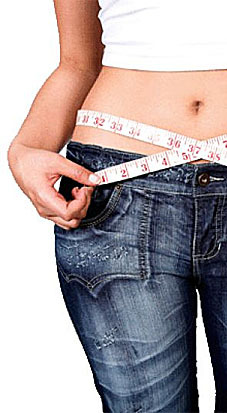 Without conflicts, once you’re subconsciously motivated to lose weight – you’ll find it much easier. Lack of motivation, laziness or lack of “willpower” are not causes of weight gain – they are consequences of the deeper, subconscious issues. This is why weight loss hypnosis can be so effective – once you allow new positive subconscious beliefs and associations to be absorbed, you will find that your thoughts and behaviors change automatically as a result. It shouldn’t require effort to stay slim – once you have a firm subconscious goal, you will find it much easier to achieve because you’re no longer fighting conflicts with yourself! This is why I chose to give you a confidence boost as well as weight loss hypnosis. When you subconsciously feel good about yourself (and you should!) then its much easier to accept suggestions that you deserve to be happy, you deserve to lose weight, and your subconscious will do everything it can to reach those goals. You’ll also find it relaxing! When you hear the multiple tracks swirling around your mind, and the soft, rhythmic pulses of Binaural Beats – you’ll enjoy an immense sense of physical and mental relaxation. PDF Guide to Weight Loss Hypnosis: A 23 page fun and interesting read to tie in with the MP3s. Outlines the psychology behind weight loss hypnosis, and gives some great self-hypnosis exercises. Remember to click "Return to Merchant" after payment to return to the download page. For best effects, listen to with headphones. Do NOT listen to whilst driving or operating machinery. Limited Special Offer: The Above Weight Loss Hypnosis package also currently contains a FREE gift – The Self Hypnosis Binaural Beats MP3.